In this article, I am going to be discussing the 10 best selling video games of all time. Video games have been around since the 1980's, and have been becoming more and more popular as consoles and the games themselves have progressed. People don't just have to play a video game on their Sony Mega Drive or their Game Cube anymore, video game companies have been branching out to launching state of the art video games on smart phones and computers. Not to mention the incredible advancement in the latest video game consoles, such as the brand new Playstation 4 and the Xbox One. This game was released in 2006, and originally on the Nintendo Wii Console. This game has sold approximately 29.32 million copies from when it was released. Super Mario Bros is an adventure game where the player has to complete many different levels and worlds to complete the game. This game is identical to the version that was released on the Nintendo Wii console, but gained more sales. This version, which was designed for the Nintendo DS, was released 3 years earlier than the Wii version being released in 2006. The game sold a grand total of 30.79 million copies. This game was released in 2009 and is exclusively available on Wii. This game is an upgrade from the original game which was only entitled Wii Sports. This game has sold around 32.80 million copies since Nintendo released it. The game includes 12 virtual sports, in which the player can play by themselves or with others. This is the Game Boy version of Tetris, and was released in 1989. The classic game was made for the first time for a portable console and the game sold approximately 35 million copies. Mario Kart Wii was released in 2008 by Nintendo after the incredible success of New Super Mario Bros. The game sold 36.38 million copies to date. The game can be played with a wheel shaped remote and the players can compete against each other in races playing as the various characters from the original Super Mario game. This is the original version of the Super Mario franchise. It was released in 1985 and was exclusively available on the Nintendo Entertainment System. The game has sold 55.75 million copies to date. 4. Grand Theft Auto V.
This game is the most successful of the Grand Theft Auto franchise. It was released in 2013 for Playstation 3 and the Xbox 360, and was later remastered for Windows and the newer generations of the Xbox and the Playstation consoles. The game is an open world format. The story line consists of 3 different characters that the player gets to play as. The game has sold an impressive 65 million copies from it's release 3 years ago. 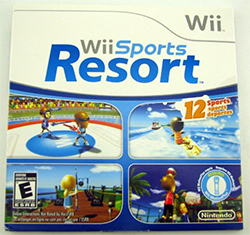 This is the original sporting game for the Wii from Nintendo. It was a launch title for the Nintendo Wii. It was released in 2006 and the game sold approximately 82.78 million copies. The game consists of 5 different sports that the player can play, such as tennis, boxing, golf, bowling and baseball. 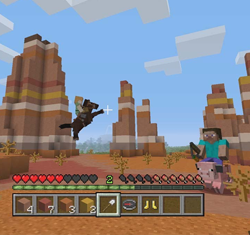 Minecraft was released in 2009 and is available today on almost every modern platform that is available. The game has sold to date 106.86 million copies. It's not a surprise that the classic game has landed out on top. The original game which was released in 1984 has now sold 495 million copies since it's release and is available on every modern platform that there is available. Nintendo's Stocks Fall Due To Pokemon GO's Developer? © 2011-2016 Whirleo, INC. ALL RIGHTS RESERVED.